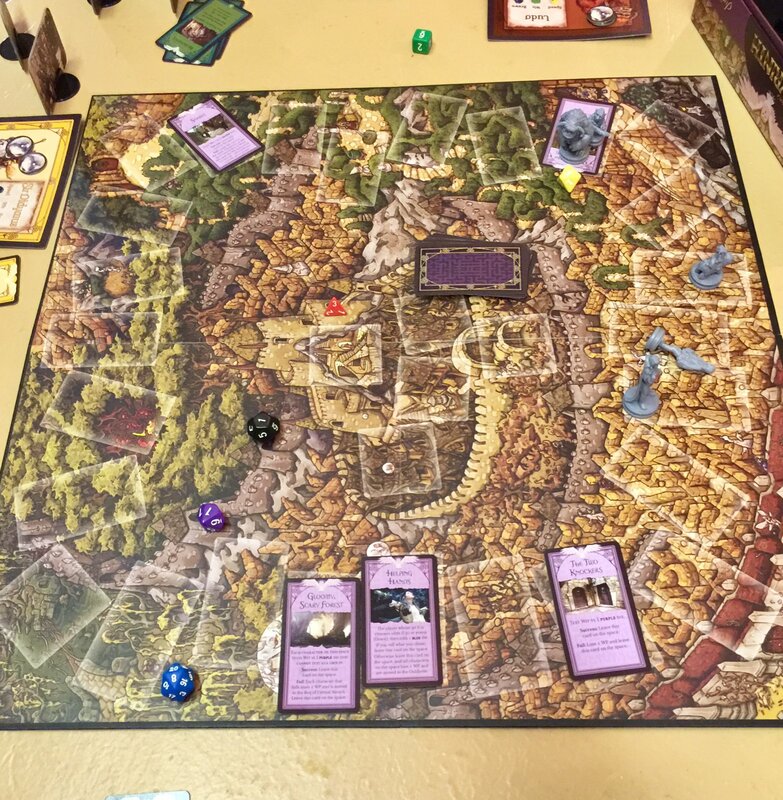 Erik brought Labyrinth, and I got to give it a try. It was simple and fun, with lots of flavour. I played Sarah and, what with how often Jareth showed up to mess with us, I spent too much time asleep for us to save Toby from being turned into a goblin. Considering the final showdown has the Sarah player reciting the culminating speech of the movie from memory while gazing into the eyes of the Jareth figure, it’s probably just as well we didn’t get that far. We did get to do the Dance Magic “You remind be of the babe” riff, though, so that’s something.